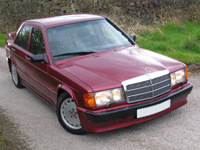 1.Mercedes W201 190E 2.3/2.5 - 16 (Cosworth): A 190E with attitude, but retains that legendary MB quality. Originally built to compete in Rallying, but with the event of the world beating Quattro, Mercedes decided to race it head to head against the BMW E30 M3 in the DTM Touring car Championship, in which it won with predicatable regularity. 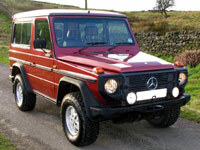 2.Mercedes W460/463 G-Wagen: Sheer quality & durability, nothing else like it. A No-nonsense off roader, which will go virtually anywhere you ask it to, and unlike a Land-Rover Defender won't drop to bits. Became more refined as it evolved, but never forgot it's roots. The latest generation G55 AMG is a simply awesome vehicle, and one of the few Modern Mercedes I actually aspire to. 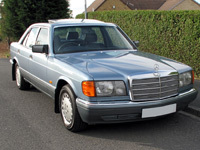 3.Mercedes W201 190/190E: Mercedes best car in 30 years in my opinion. Mercedes gambled the entire survival of the company on the success of the W201 190E in the early 80's, so this car had to be extremely good. I think they did rather a good job, especially considering the last one rolled off the production line on 5th May 1993, and now, some 17 years old there's still loads still on the road. Out of all the Mercedes I handle, the 190E ailes the least of all the range. 4. 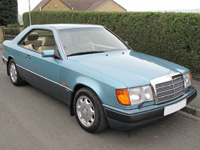 Mercedes W124 Coupe: Inherent quality & style, at home outside The Ritz or MacDonald's. A timeless style icon, and in the opinion of many, the last of the proper over engineered Mercedes-Benz. Why did Mercedes stop making the W124...simple the accountants said they could no longer afford to continue to over engineer their cars. A very sad time in the history of the company. 5. Mercedes W107 SL: The height of good taste, and Mercedes-Benz quality at it's pinnacle. Driven in the 1970's and 1980's by the rich and famous. The star of many films and TV series, most notably Dallas; Bobby Ewing had a Red one. 6. 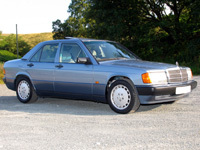 Mercedes W126 SE/SEL/SEC Class: Possibly the best engineered Mercedes ever - built to outlast their owners. Also the favourite mode of transport of Captains of Industry, Royalty, Presidents, Arab Shieks and Dictators. Designed to eat up gargantuan distances in near silence, and with a serenity that even today some manufacturers still aspire to. 7. 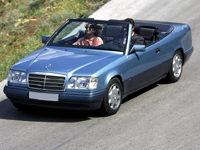 Mercedes W124 Cabriolet: Class personified--a truely classy convertible. 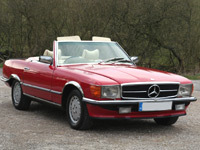 Probably one of the best looking full four seater convertibles ever made, and oozing class! Proves again how great and how versatile the W124 was...in all it's guises (Saloon, Estate, Coupe and Convertible) it excelled, and continues to do so even now! 8. Mercedes R129 500SL-32: The early R129's were the best built and the fastest as they were not stiffled by power zapping anti-pollution regalia. 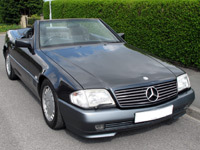 The 326BHP 500SL-32 from the very early 1990's is the just simply awesome. Think of it as an iron fist in a soft velvet glove. Timeless, and elegant design, with performance that will happily rip your face off. 9. 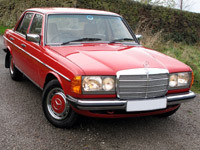 Mercedes W123 E-Class: Reputed to be the best built car in the world . The fact it's a favourite among the world's Taxi drivers speaks volumes about the sheer durability of this iconic Mercedes. I would bet there's more W123 that have covered a million miles, than any other type of car on the planet. A firm favourite in Africa too because of it's indestructability. 10. 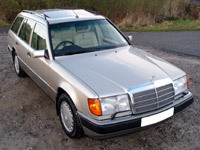 Mercedes W124 Saloon/Estate: The last great E-Class - durable, reliable & timeless. These cars just go on and on and on. As an Estate, rumoured to be almost indestructable - I've owned several now, one had done nearly 300,000 miles and still drove like a new car.